Sunburns are something that you don’t often notice until it’s too late and your skin has been burnt real bad. Caused by overexposure to UV rays, sunburns can affect anyone regardless of skin color and location. Hikers are especially at risk for sunburns. The more time you spend outdoors, especially on high-altitude trails, the more likely you’ll be overexposed to UV rays. Sunburns are not only painful; they’re also responsible for long-term skin damage like wrinkles and even skin cancer. While being out under the sun is great, it’s also important to take necessary steps to prevent sunburn, or know how to treat them with affordable home remedies. Sunburns hurt—a lot. Thankfully, preventing them is relatively easy. The best way to avoid sunburns is to lessen overexposure to UV rays. You might want to soak up as much sun as you can, especially when you live in colder regions, but keep in mind you have to do that “soaking” in moderation, as well. To avoid overexposure, start your hike early; get to the trailhead preferably before the sun is up and take breaks when UV exposure is at its peak (usually around 10am-2pm). During these peak hours, seek cover from trees and shades. When hiking long distance through a hot and arid environment as in some portions of the Pacific Crest Trail, you might want to rest during the day and start your trek once the sun is low in the sky to avoid sunburns and dehydration. 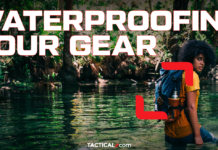 Your clothes are your first line of defense against the harsh environment, so lower your chances of UV overexposure by wearing appropriate clothing when out on the trail. Breathable, long-sleeved shirts are often enough to do the job, but if you want to take it up a notch, you can always invest in sun-protective clothing. These clothes are made of tightly woven fabric that prevents UV rays from penetrating your skin. Sometimes they’re even treated with chemicals or made with fabric that reflects UV rays instead of absorbing them to further protect you from sunburns. Sun protective clothing also comes with UV protection factor (UPF) ratings that indicate their strength and protection against harmful UV rays. Other means of protection include wearing a wide-brimmed hat, a scarf or shemagh that protects your head and shoulders from overexposure. Since you can’t possibly cover every inch of your body with clothing or avoid the sun entirely when hiking, you have to put on sunscreen for additional protection. According to the American Academy of Dermatology, using sunscreen daily not only helps with sunburn and premature skin aging, it also reduces the chances of getting melanoma, the most dangerous type of skin cancer. They also suggest using sunscreen that’s SPF 30 or higher. Apply sunscreen at least 20 minutes before going out on the trail and reapply it along the way as needed. Sunburns are classified as first degree burns. This means that the topmost, superficial layer of the skin is damaged. A significant amount of nerve endings are found in this layer so while sunburns are considered a mild form of burns, it can still hurt like nobody’s business. One of the easiest ways to provide relief is water. Applying cool water to the skin soothes the damaged layers and helps it recover faster. Gentle running water is great but you can also apply cool, damp cloths to the affected area. Ice works great for sunburns too, but don’t apply it directly onto your skin because that can cause more damage. Wrap the ice in a zip baggie or cloth before gently applying it to the skin. While you’re at it, drink lots of water and electrolytes to compensate for all the fluids you lost while out under the sun. Keeping hydrated rejuvenates your cells and helps a lot in the healing process. Aloe vera has been used as a herbal medicine for thousands of years. Its fleshy leaves contain a gel-like substance that cools and soothes sunburned skin. The leaves are also known for their moisturizing effect, which prevents further damage. You can cut the plant’s leaves, take the gel and apply it directly to your sunburnt skin. If you don’t have access to the plant itself, don’t worry, there are lots of commercially prepared aloe vera gels that can be used to treat sunburns. Another succulent plant that’s known for its soothing properties is the prickly pear cactus. Like aloe vera, prickly pear has a gel that you can use to treat sunburns while on the trail. Check out the full tutorial on how to harvest and apply the gel here. Essential oils like peppermint and lavender don’t only smell good, they also help soothe sunburn stings. Aside from their cooling and moisturizing properties, these essential oils are also great for zapping germs that can make sunburns worse, so dab some on the affected area to help it heal faster. Another oil that you can use – virgin coconut oil. Virgin coconut oil isn’t what you’d consider an essential oil, but it is a natural sunscreen and moisturizer, so slather some on when you’re out on the trail. A nice warm oatmeal bath is great to relieve pain and itchiness. Oatmeal, especially when it’s ground to a fine powder, has been known to reduce redness and irritation. Studies show that oatmeal is an excellent antioxidant and has anti-inflammatory properties that can help heal sunburns. You can simply ground the oatmeal and mix it in with warm bath water for relief. You can also mix it with honey and apply the mixture to the affected area. Honey is also known for its healing and moisturizing properties so it can help speed up your skin’s recovery. Other home remedies for sunburns include dairy products like yogurt, which has probiotics that can help the skin heal faster. Black tea and apple cider vinegar are also known to help with the pain and aid in healing. Sunburns are not uncommon when you’re out on the trail. They sting, they itch and sometimes they even blister! They’re definitely not the best souvenirs from your time outdoors. Thankfully, sunburns can easily be prevented and treated. Make your time outdoors more enjoyable by avoiding UV overexposure and taking the necessary steps to prevent sunburns. Cover up, pick the right time to hike and slather on some sunscreen for good measure. Pack some aloe vera gel or any of the home remedies mentioned so you can treat them while on the trail. 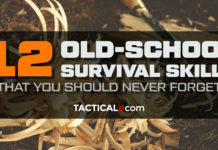 Any other useful tips we missed? Let us know in the comments below!